Why is my Jotform giving disabled? Some time ago I noticed problems with my Jotform forms. 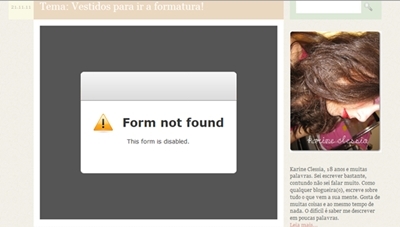 Says: Form disabled. What should I do for him to return to normal? Thank you! for the support team on this one. Before I had not registered, this might have been the problem. I only did the form, but there was no account in Jotform. Now I have. Was it so? Sorry about that. I unsuspended your account and whitelisted your forms.